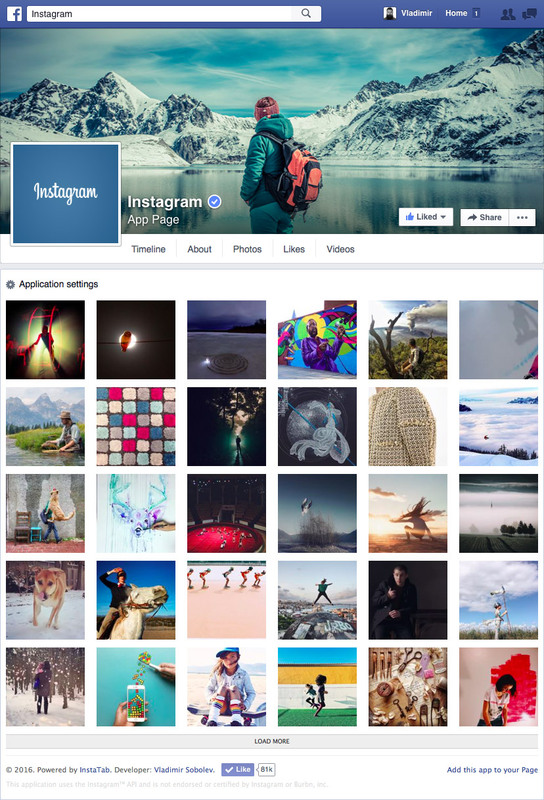 Expand your Instagram audience and share your best shots with the Instagram Tab for Facebook. This easy-to-use app corrals all of Instagram’s best features to create an intuitive photo-video-browsing experience. Showcase full-size photos, videos, pick up Facebook Likes and comments, utilize «Load More» functionality, and quickly and easily share your photos with friends and fans.